With the recent opening of Bang & Olufsen’s Australian flagship store, we spoke to the creative director behind the brand’s global retail design strategy. 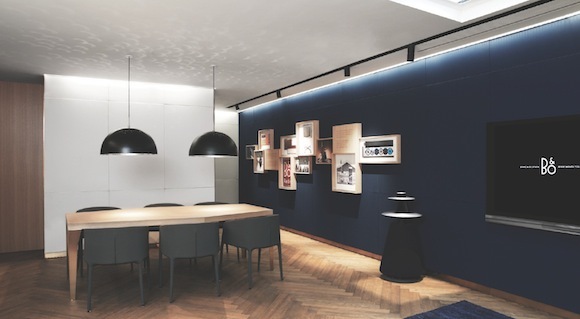 Bang & Olufsen’s global retail store concept embraced the brand’s ‘magical’ positioning to design flagship stores that are interactive and sensory experiences. Of course, Copenhagen was the starting point, but now Melbourne has become the latest city to open, housed in Russell Street’s heritage-listed Cavendish House. 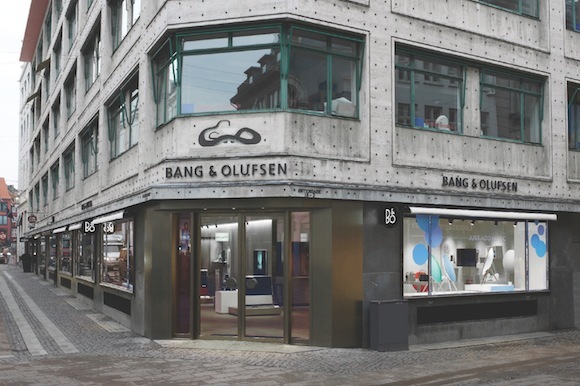 Johannes Torpe Studios developed the global retail concept together with Bang & Olufsen as part of a team led by principal Johannes Torpe, who was formerly group creative director at Bang & Olufsen. 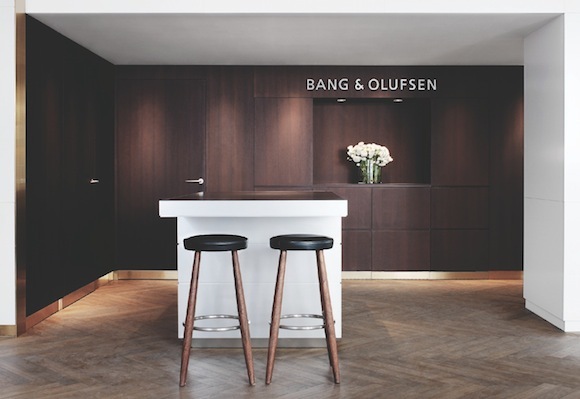 Its Copenhagen studio worked closely with a internal group within Bang & Olufsen under Torpe’s leadership. We asked Torpe about how the project rolled out, from concept to concept store. desktop: Has this been a long process? Johannes Torpe: It was quite the opposite. It was a process of only five months from the first conceptual drawings until the first prototype store was finished. At the same time it was a fairly complex project to outline, as we wanted to create something truly unique to support the magical world of Bang & Olufsen. The teams worked amazingly well together and we managed to create a concept and prototype that truly does support the magical world of Bang & Olufsen. Could you give us a quick summary of and context of the brief? Given the unusual circumstances I had the role of being the clients and hence creating the brief myself. In short we needed to first look at the challenges the brand was facing before we could even start dreaming about creating a new store experience. 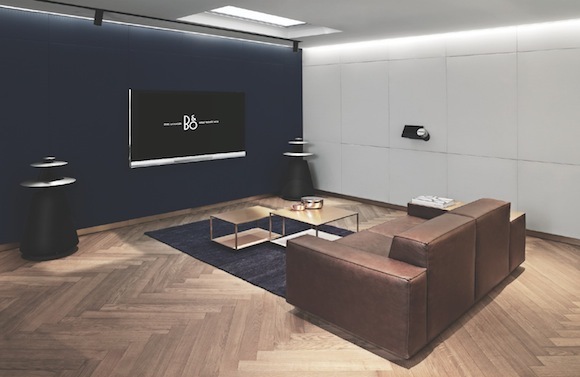 We had to create a design language for the Bang & Olufsen brand and in this context also look at B&O PLAY, the sub-brand that supports the luxury brand, Bang & Olufsen – so it was a very busy period indeed. 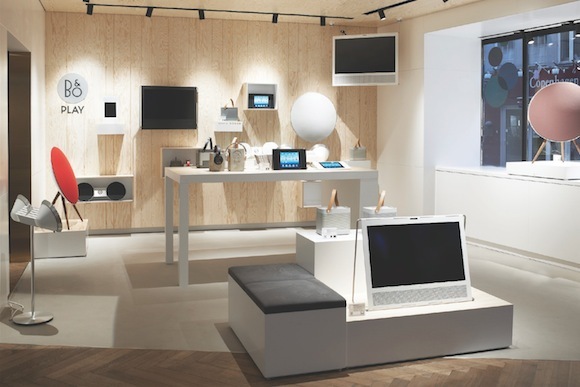 Once this was clarified and on target the message was quite clear: ‘Bang & Olufsen exist to bring you enduring magical experiences.’ The new retail design needed to communicate this legacy of creating innovative and foresighted product design. What factors did you keep in mind when planning your design direction? The focus was clearly ‘magical experiences’ while also looking at the feasibility of rolling out 600 stores around the world. The concept hence had to be super adaptable to both cultural differences and different market needs. This level of flexibility is always the big challenge when designing concepts for the world market. Another very important thing was also to make sure that we put the money on the right value propositions for the clients. We placed focus on creating elements of surprise and curating little magical moments throughout the store and product display. The rotating walls displaying the different TV-solutions are a result of this focus. The same can be said about the automated speaker wall, that simplifies the in-store sound testing while also giving you a moment of surprise when the speakers magically appears from behind the wall panels. Also, as a brand known as a pioneer in the audio industry, the store was created with impeccable acoustics in mind, using fabric covered sound wall panels through out the store design. To save time, complexity and costs we, together with the Danish company Sensa, created an all new electrical and networking system that can be installed in only one week while reducing the amount of wiring significantly. This might not be visible part of the design but in my point of view it is a very significant part of its success. Now, all this might sound very simple, but I can assure you that it was not simple at all. What do you like most about the store design? What I like most is that it is now a proven fact that every time one of the old stores are refitted with the new concept, the sales are shooting trough the roof. To the benefit of the brand and shop owners. This I guess is the ultimate proof of a successful retail design. On a more personal level I think it is really satisfying that we have created a holistic retail design that supports and highlights the true magic of Bang & Olufsen. A fun fact is that customers sometimes ask to buy the rotating walls to install in their homes. When people start asking to buy the display-design as well was the products, then I believe you have created something with a truly unique character. What were some of the challenges you encountered during the whole process and how did you overcome them? Most of our challenges stemmed from the fact that what we wanted to do, had never been done before. Everything is possible if you have unlimited time and finances and we didn’t have neither. Especially the very short time span we had to complete the first prototype was challenging, but the team pulled together and we always found a solution.